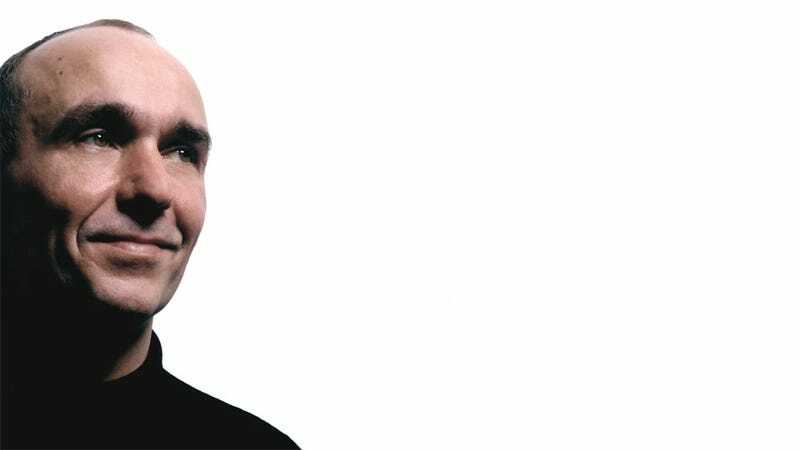 Peter Molyneux, one of the most respected video game developers in the world and one of the top creative minds on the Xbox team, is leaving Microsoft and Lionhead Studios, Kotaku has learned. "It is with mixed emotions that I made the decision to leave Microsoft and Lionhead Studios, the company that I co-founded in 1997, at the conclusion of development of Fable: The Journey.," Molyneux said in a statement to Kotaku. Fable: The Journey is this year's forthcoming Fable game for the Xbox 360 Kinect. Molyneux will continue to be involved in that title as a creative consultant. Molyneux is exiting both his position as the leader of Lionhead and his role as the creative head of Microsoft Studios Europe, which primarily consisted of overseeing Lionhead and Rare. Lionhead will be run by studio co-founder Mark Webley. Microsoft is not immediately naming a new head of the European studios. Molyneux will move on to an as-yet unpublicized independent venture, one that ends his tenure at Lionhead. That studio is responsible, under Molyneux, for more than a decade's worth of ambitious games. Microsoft wished Molyneux well, portraying the split as amicable and driven by the game creator. "As co-founder of Lionhead and an integral part of Microsoft Studios, Peter was the creative visionary behind the blockbuster Fable franchise, and one of our most passionate and influential developers for the Xbox 360 platform. He has made an indelible mark on the games industry and we wish him all the best of luck in his future endeavors." Molyneux, 52, has been making video games at least since his 20s. The god-game Populous was an early hit, with ambitious successors like Theme Park and Black & White to follow. He made his games with talented teams: first at Bullfrog Productions, which was bought by EA, and then at Lionhead, which was purchased by Microsoft following the success of the Fable games. Molyneux games have been habitually ambitious, usually running one or more complex simulations with which the player could tinker by playing the role of over-arching god. Or movie-studio mogul. Or world-traveling, monster-killing, property-buying, children-raising medieval hero. He has delighted in dreaming big and has routinely had to apologize for promising perhaps a little too much with his games. If he wasn't teasing that every acorn dropped in a game might turn into a tree at some point (that didn't quite happen), he was arguing that he could evoke an emotional reaction from players of action games by giving the player's hero a very smart dog (a more successful experiment). Molyneux always has new ideas and a twinkle-eyed urge to share them. He's remained cheerful and bold, boyish in his excitement about his next games in the manner of his contemporary at Nintendo, Shigeru Miyamoto. The wildest Molyneux project yet may have been the only one he cited in his exit statement to Kotaku that was never finished: Milo & Kate. That Kinect game was supposed to allow players to interact with a virtual boy on their television through gesture and voice commands as if they were dealing with a real person. The idea evolved from Project Dimitri, an idea Molyneux hesitated to describe to interviewers for years. Milo was used to stun an audience of video game reporters and experts at the first showing of the Kinect at E3 2009. As the Kinect came out, Milo seemed to vanish. It resurfaced when Molyneux showed it at the TED conference, a forum for sharing bold new ideas to the world, if not, usually, video games. The game has been missing in action ever since, presumed cancelled. It's hard to say how the loss of Molyneux from Lionhead and Microsoft will affect those groups. It's easier to predict a successful path for Molyneux, who has done this whole thing before, building up Bullfrog, selling it to EA, working with them for a bit and then leaving to start a great new thing. Now that pattern is nearly complete for Lionhead: sold to Microsoft and very soon without Molyneux...who will likely dream ever bigger and get our rapt attention the next time he's got a video game to make.